The 2018 General Elections took place on Tuesday, November 6, 2018. 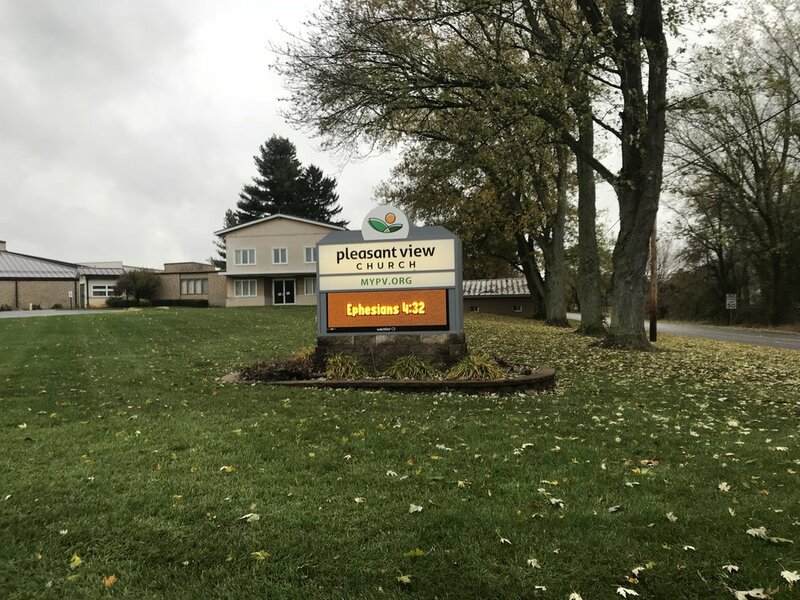 This story will give you a glimpse into what it’s like voting in Elkhart County in Northern Indiana. A county with a population of around 200,000. We talked a lot about how to present this information. 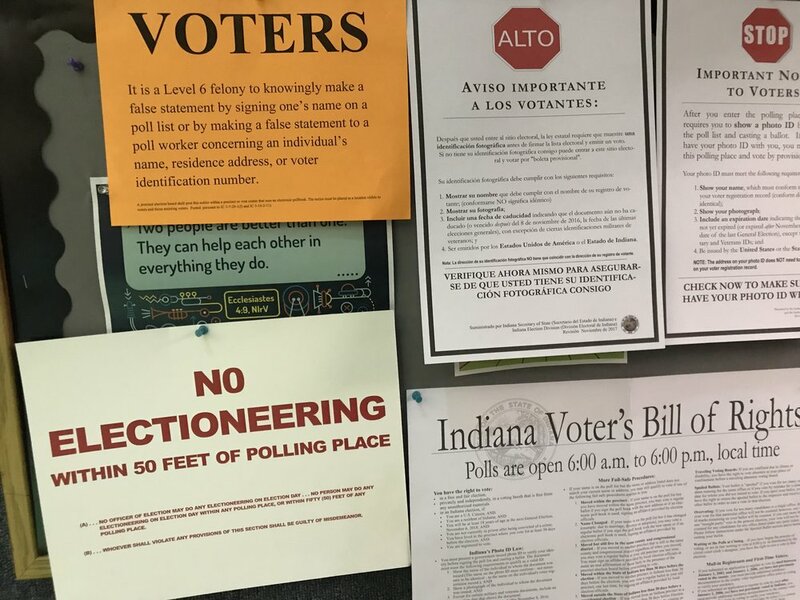 Our initial intention was to gather evidence of violations to take to our county Election Board, but the violations were far worse than we anticipated, so we decided to make the information public as well. 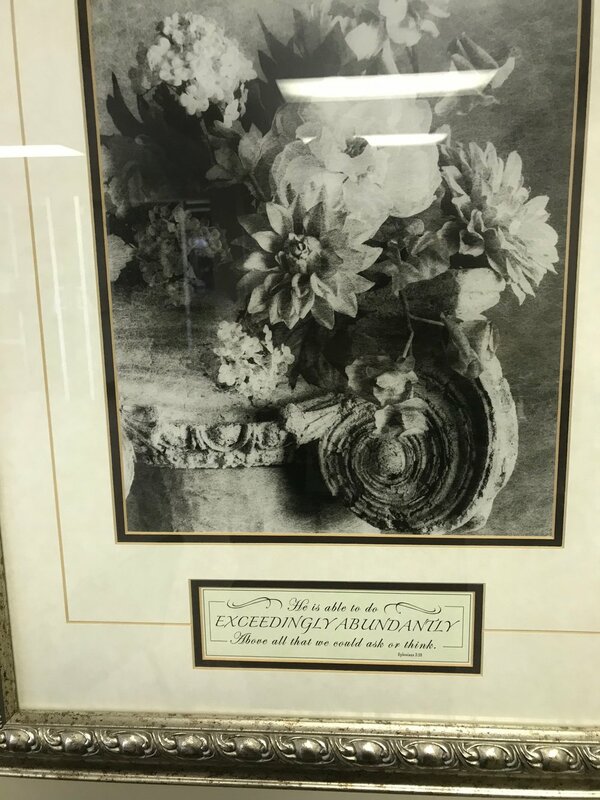 We’ll highlight a few of the more egregious violations as far as we saw them and give you all of our notes and photos below the story. Before we can even start to talk about polling locations, we have to talk about our process of being able to access the polls for this story. 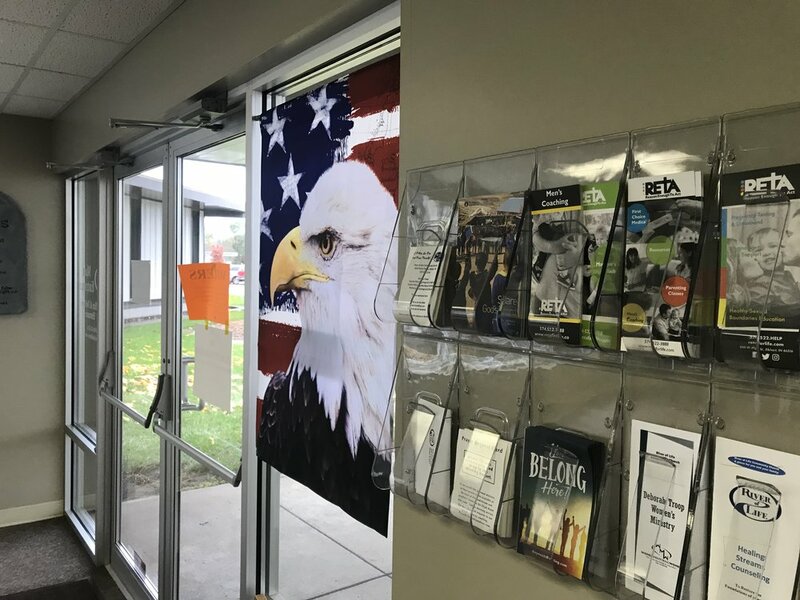 Our President, Troy Moss, contacted Christopher Anderson, the Clerk for Elkhart County to ask if we could appoint poll watchers on election day in Elkhart County. The answer was "No.” He then asked if we could take pictures inside polling locations to gather evidence of violations to take to the Election Board and the answer was again, “No.” Troy explained that there are studies that show polling locations affect the outcome of issues like LGBTQ rights, women’s reproductive rights, immigration, the environment, and school vouchers, all issues that NIA take a position on. [NIA believes churches also have every right to have positions on these topics, but the moment they do, they no longer become impartial locations to hold elections.] 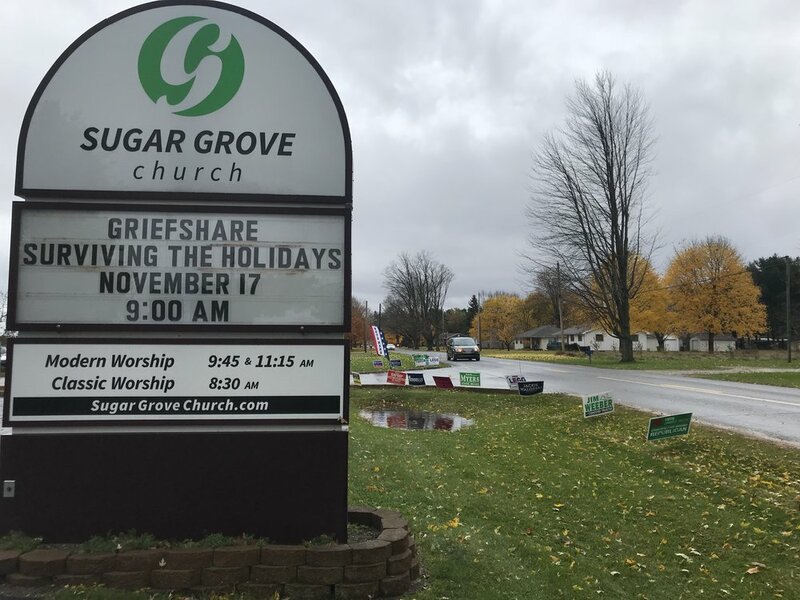 Troy also explained that only a few secular locations are available to the people in Elkhart County and not all of those are accessible by public transportation. Christopher said any concerns about polling locations should be taken to the Election Board and any legal recourse would need to be done by our council. 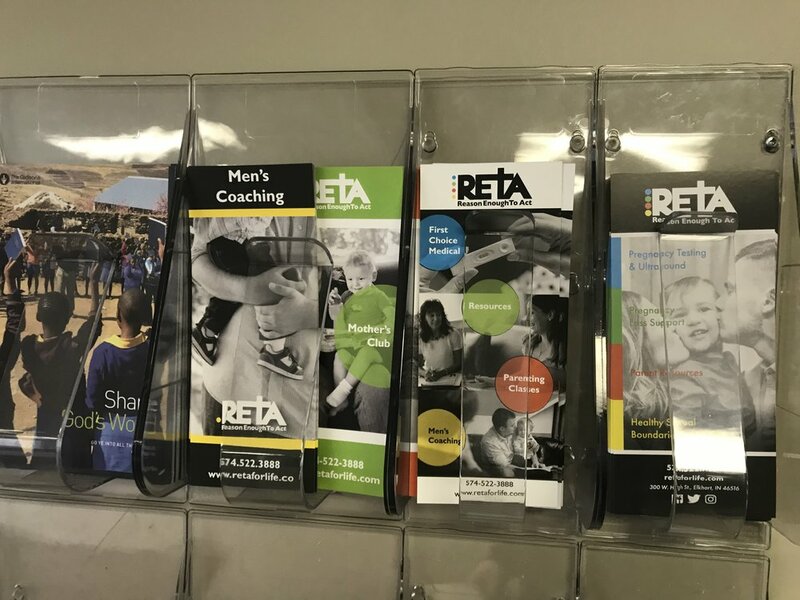 Troy told Christopher that NIA has had reports of bibles left out on tables, christian music playing, church members trying to recruit voters waiting in line, and religious information throughout chutes [all of which you’ll find in our photos below this story]. Christopher’s response was, “There is none of that at the poll books, at the tables, or at the equipment the voters use. There can be no material other than election material at poll books, no material other than what is carrried in by voter at election machines. Inside the fifty foot chute we do our best to make sure nothing is there.” and when asked about church members having access to voters Christopher said, “Church members cannot be inside the fifty foot chute.” So we were stuck at, how do we show the Election Board evidence of these types of violations that we know Elkhart County voters are presented with in church polling locations without having access to church polling locations to gather that evidence? 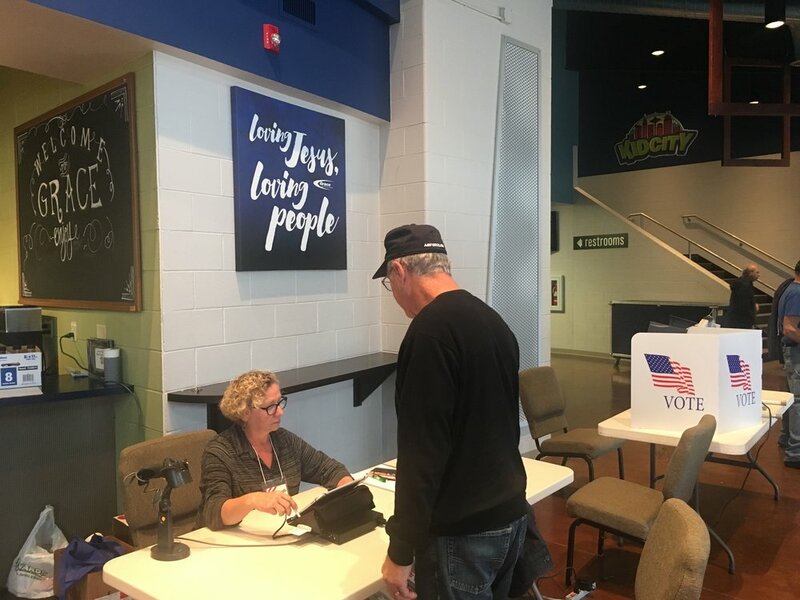 Christopher later called Troy back about NIA having access to church polling locations and said bluntly, “It doesn’t happen on election day.” Christopher asked, “Have you voted?” To which Troy answered that he hadn’t voted yet. “You can stand in line at one place and cast your ballot. 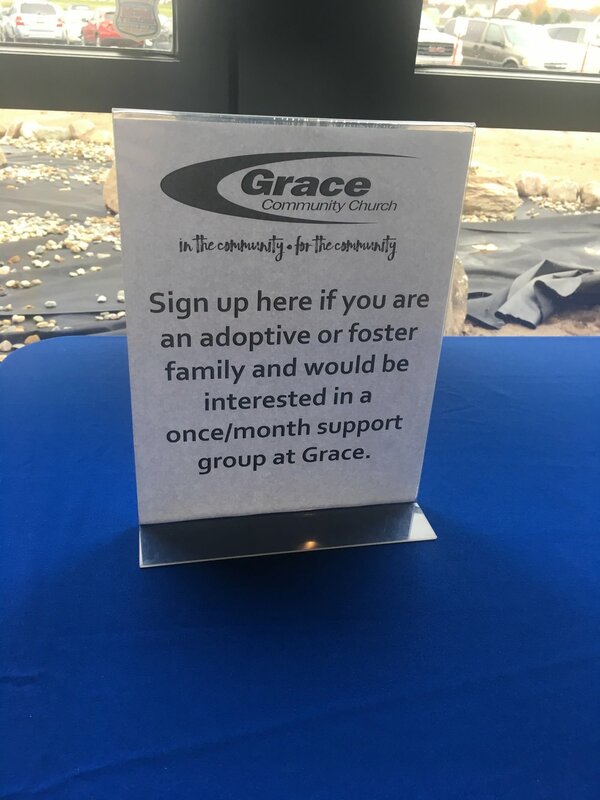 Going from place to place … if we get reports of that, we will handle it as that. I will take it to the Election Board and I will take it to the Indiana Election Division. You are not allowed to take pictures inside the fifty foot chute or inside the voting area,” Christopher threatened. Northern Indiana Atheists is an affiliate of American Atheists and Troy Moss is the American Atheists Director in Indiana. Troy called American Atheists for advice on how to deal with this problem. The Editor of American Atheist Magazine said she would request Poll Watcher credentials on behalf of NIA so we could write this story. At that point Christopher was forced to give us credentials which gave NIA full access to all polling locations in Elkhart County on election day. In past elections, the County Clerk sent out postcards with polling locations. Over the years, more and more of those locations have been churches. 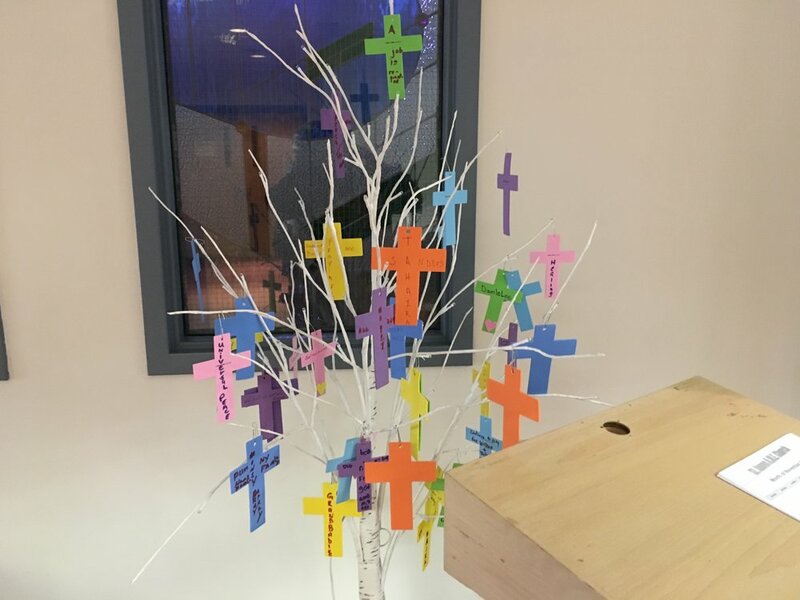 In 2018, 18 out of 27 of our polling locations were Christian Churches. NIA sees this as a problem. Can the type of polling place in which people vote (e.g. church, school, or firehouse) influence how they cast their ballot? Results of two studies suggest it can. A field study using Arizonas 2000 general election found that voters were more likely to support raising the state sales tax to support education if they voted in schools, as opposed to other types of polling locations. This effect persisted even when controlling for voters political views, demographics, and unobservable characteristics of those individuals living near schools. A voting experiment extended these findings to other initiatives (i.e. stem cells) and a case in which people were randomly assigned to different environmental primes (i.e. 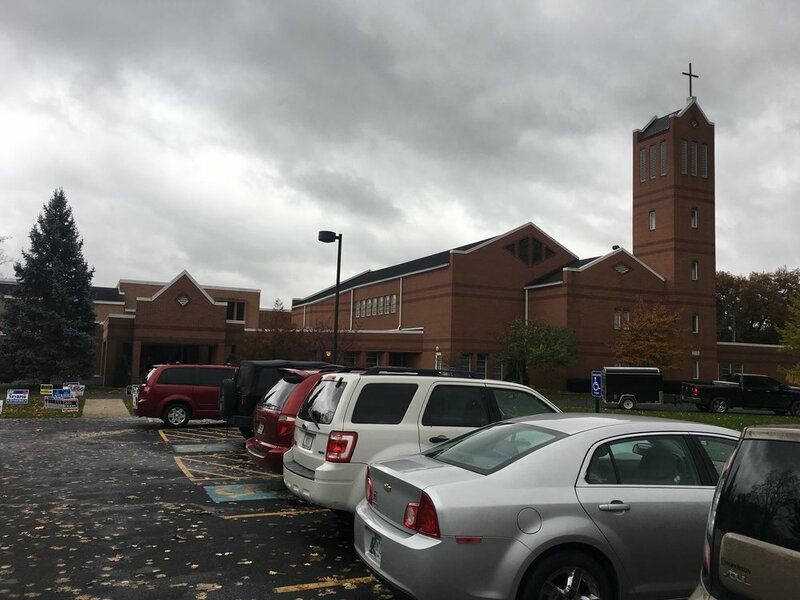 church-related, school-related or generic building images). 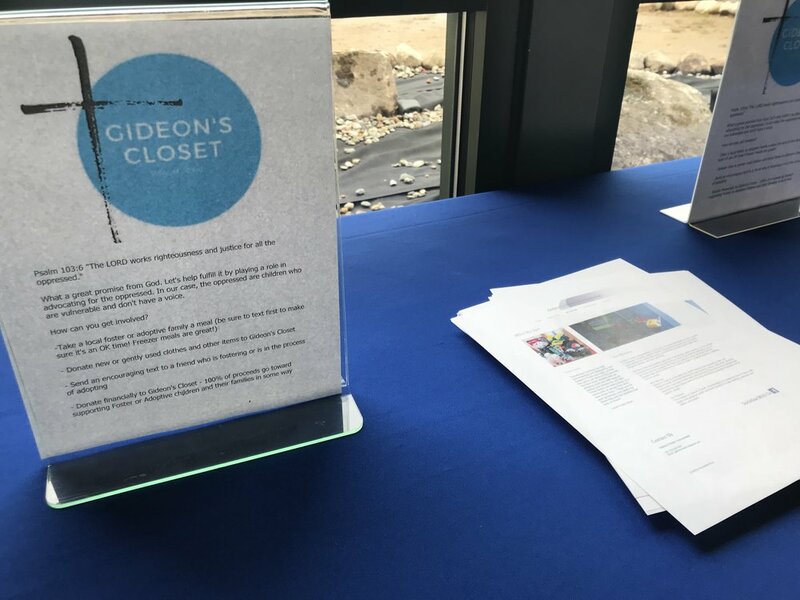 The present studies reveal that even in noisy, real-world environments, subtle environmental cues can influence decisions on issues of real consequence. 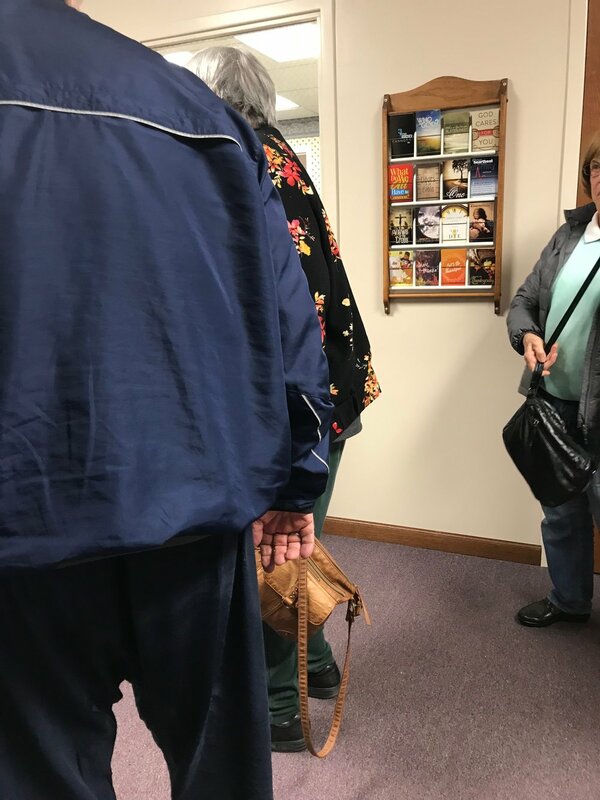 The main argument we heard from the community was, “If you don’t want to vote at a church, just absentee vote.” Absentee voting is conducted by mail-in ballot before Election Day. NIA firmly believes that religious affiliation or aversion to voting in a church should not disqualify citizens from participating in a fundamental right like voting on election day. Now we’ll cover the violations as we saw them. 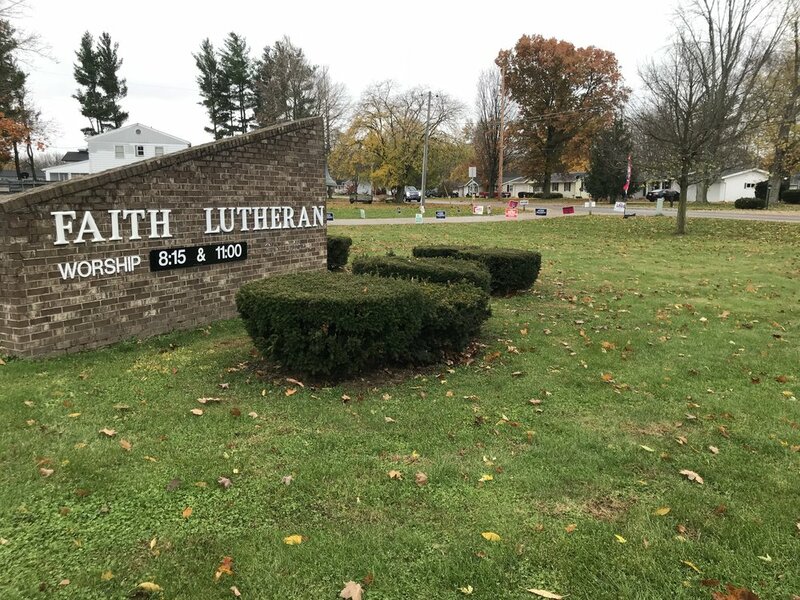 Elkhart County polls were open from 6:00 am to 6:00 pm, that gave us 12 hours to drive around and document what voters were presented with as they entered the exclusively Christian church polling locations. 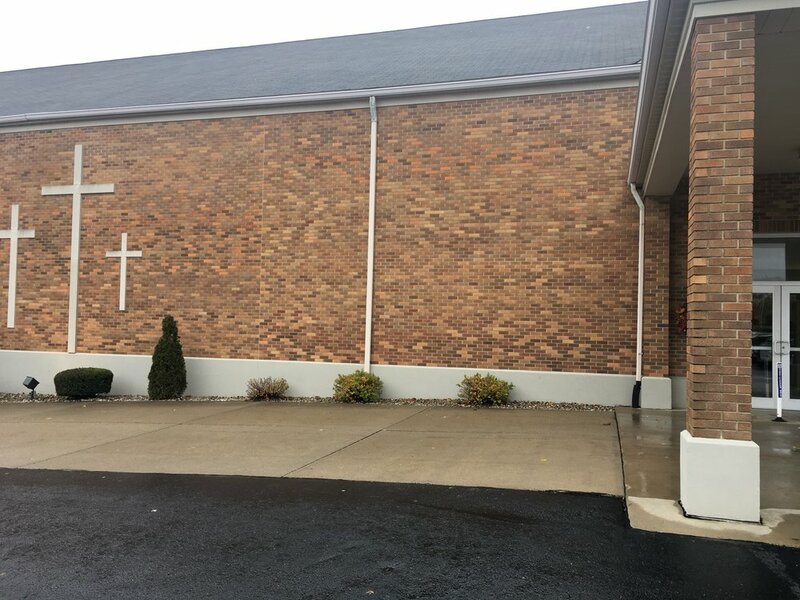 As we pulled up to the church, their sign read “FALL FOR JESUS HE NEVER LEAVES” on one side and “YOU CAN DEFEAT THE ENEMY” on the other. 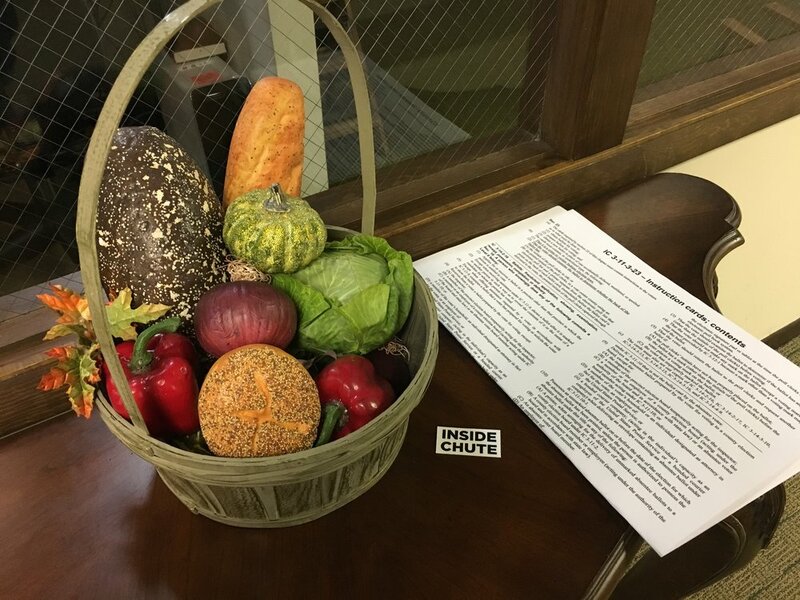 As we entered the church, and well inside the chute, we saw a devotional for men in a bread basket next to their Voter Training book. 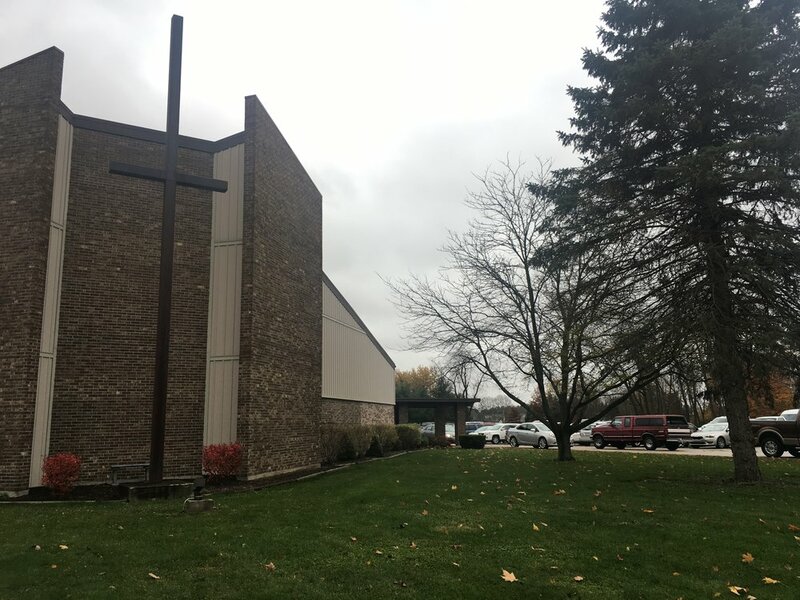 Voters were lined up inside the sanctuary for nearly an hour with a giant cross and Christian iconography all around them. 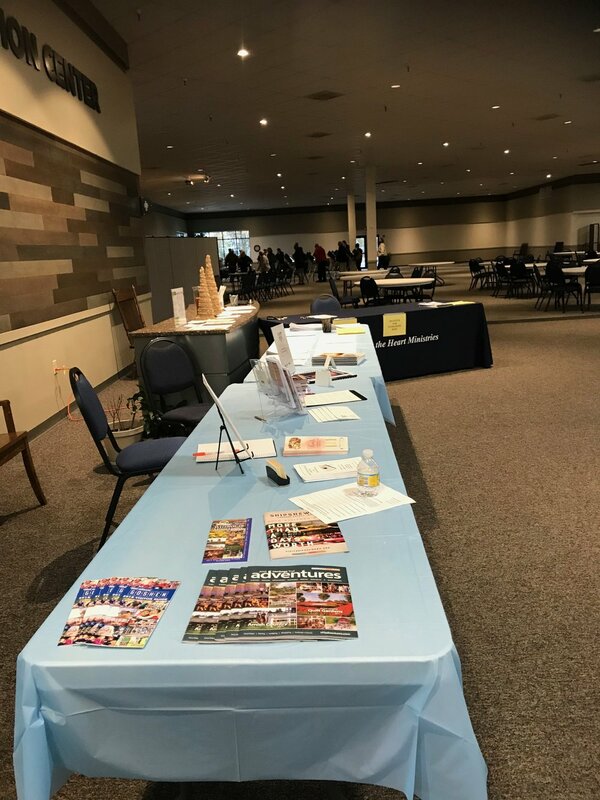 The official Photo ID Check-in Station & Candidate Book was on a table with a giant banner for their Women’s Ministries. As we approached the voting location, we had to drive under a giant cross in the middle of their entrance. Walking up to the entry doors, and inside the chute, they were playing Christian music. We stopped and listened to a rendition of Amazing Grace playing while we watched voters come and go. 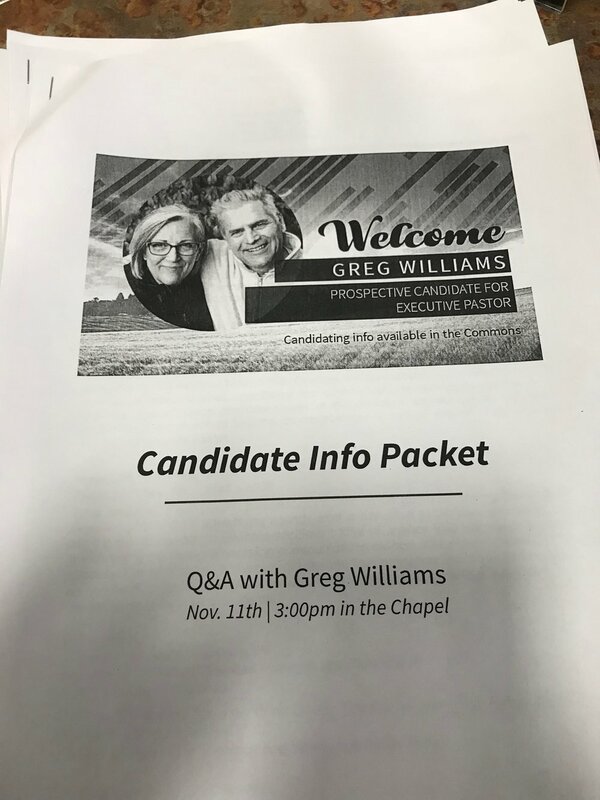 The church also had their program info at voter check-in. 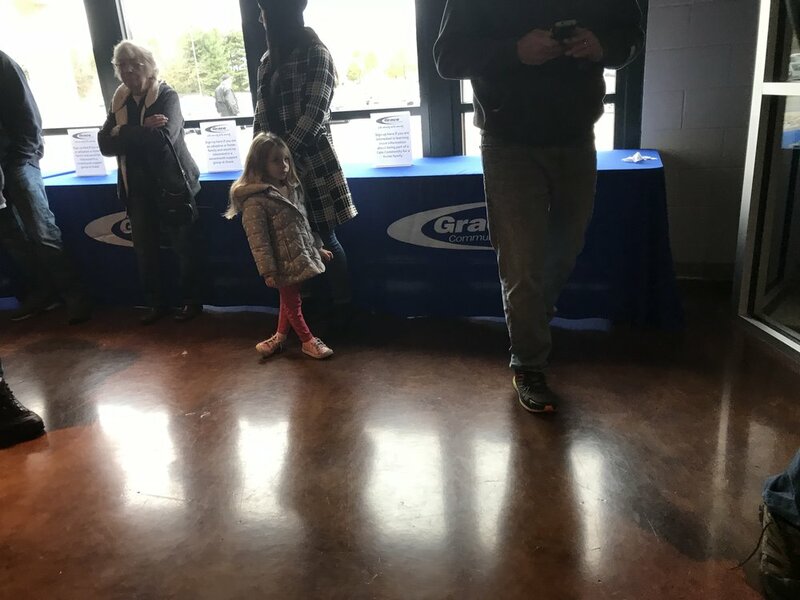 As we entered this polling location we noticed the line that was wrapped around the entryway was right in front of a long line of blue tables. 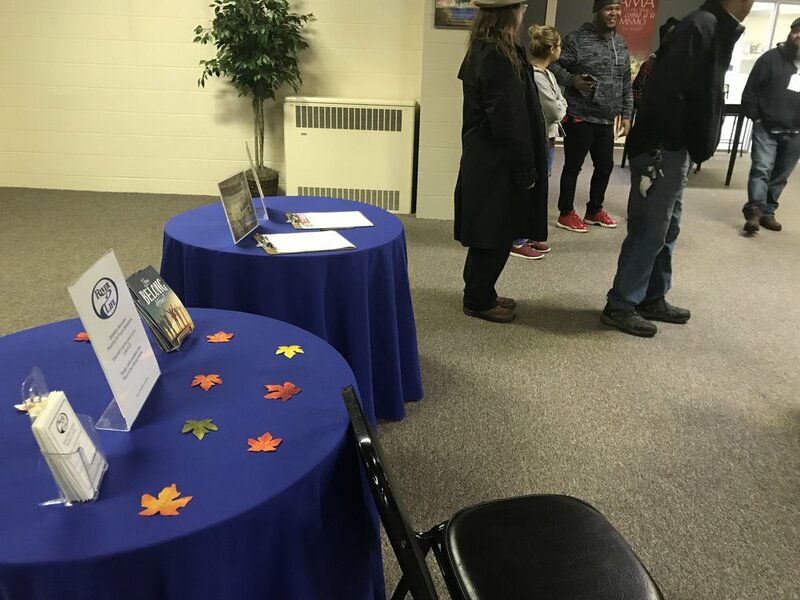 These tables had church program information and flyers left out for voters to take. 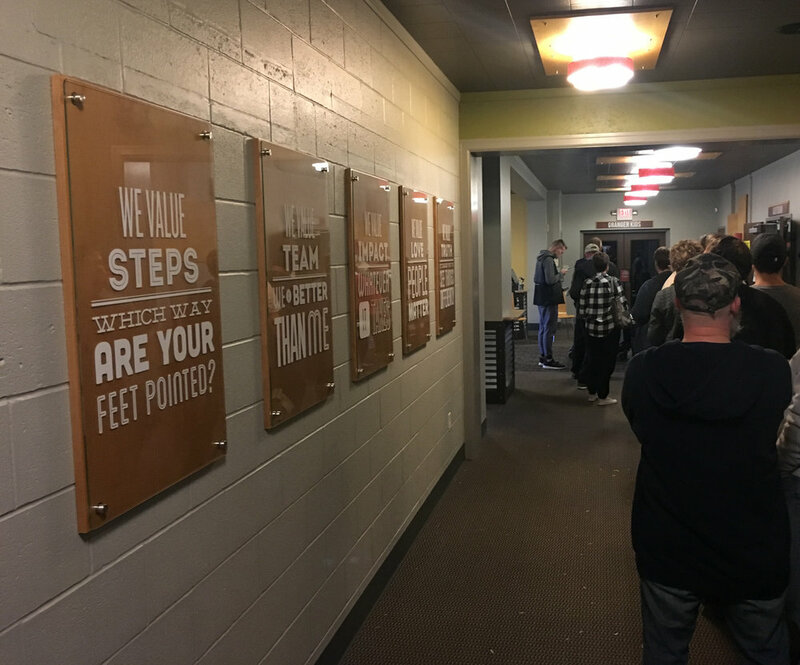 There were also large religious signs throughout the chute and voting room. 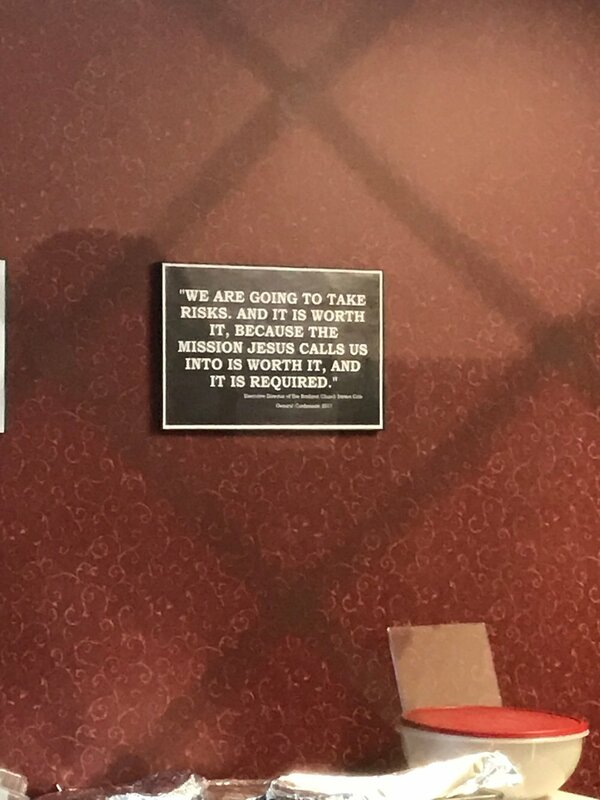 As we entered the church and walked the chute, we saw posters with bible verses on them and a large painting of a bloody jesus. As made our way down the line of voters standing in line, we entered the coffee bar and bookstore that were open and selling items. In the coffee bar, voters watched video monitors that gave information on church programs and messages from the church. As we watched the monitors, the pastor introduced himself to us and welcomed us to the church and gave us information on himself and the church. Walking into the church, it was obvious that elections weren’t the only thing happening that day. The room where voters were casting their ballots was filled with people sitting at tables and milling around within full view of voting machine screens. The entire church as filled with the smell of coffee. We made our way through the tables and people to the coffee bar on the other side of the room and asked if the coffee was there for voters, too. Staff at the coffee bar confirmed that the coffee was for voters and then gave us information on the conference that was going on and let us know that the bookstore was open. We finished talking to staff and interviewed a voter who said he smelled the coffee and made his way through the conference to purchase a cup. 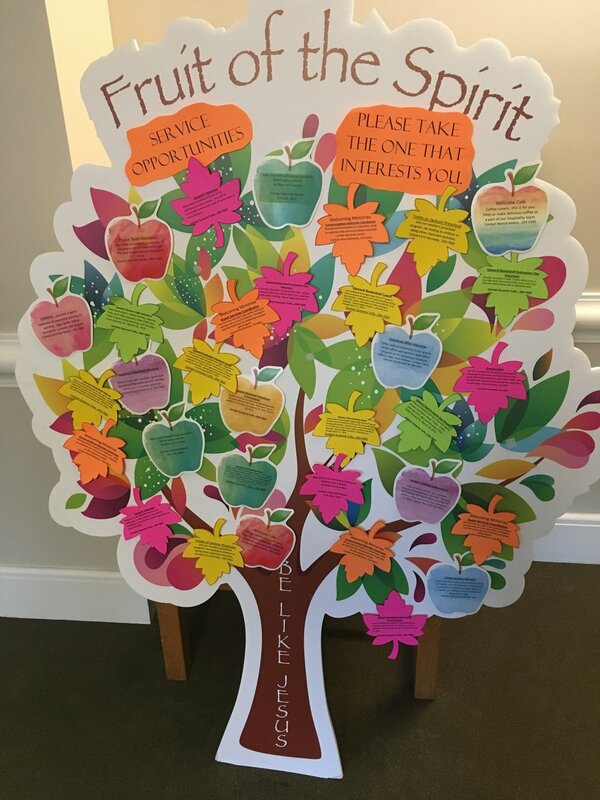 At the same time the church was hosting a voting location they were also hosting the 9th Annual “Caring for the Heart” Conference which promised “You will be refreshed in worship and fellowship among other believers.” Both in the exact same room with nothing dividing one from the other. 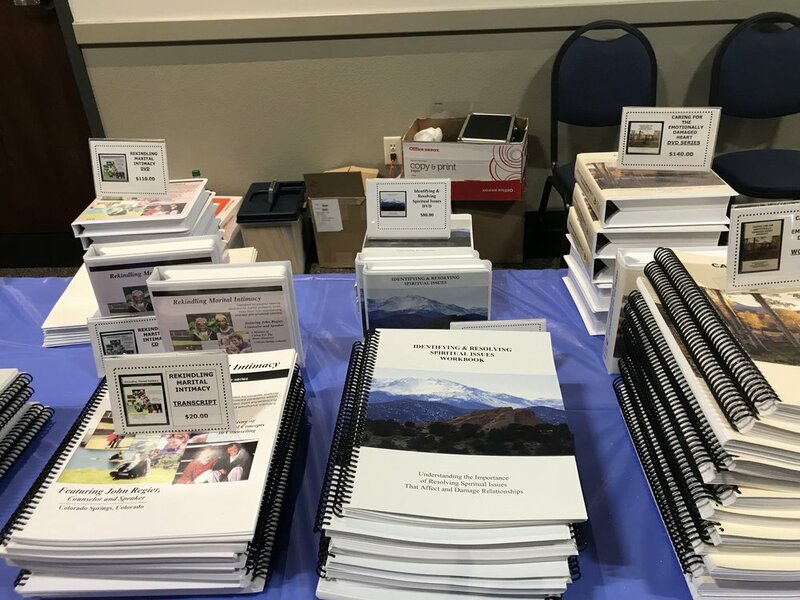 The conference had tables full of books, tapes, other goods and services for sale that voters had to walk through to get to the coffee bar. Even the bathrooms open to voters had religious messages in them. Entering the church, they had a large 10 Commandments monument hanging on the wall just inside the entrance. The person checking ID’s asked us why we were there and we showed him our poll watcher badges. He saw that it said “American Atheists Poll Watcher” and immediately got an attitude with us. He said, “are you here to vote?” I answered no. He snidely said, “I didn’t think so.” We just let that go and entered the chute where voters were waiting in line to vote. 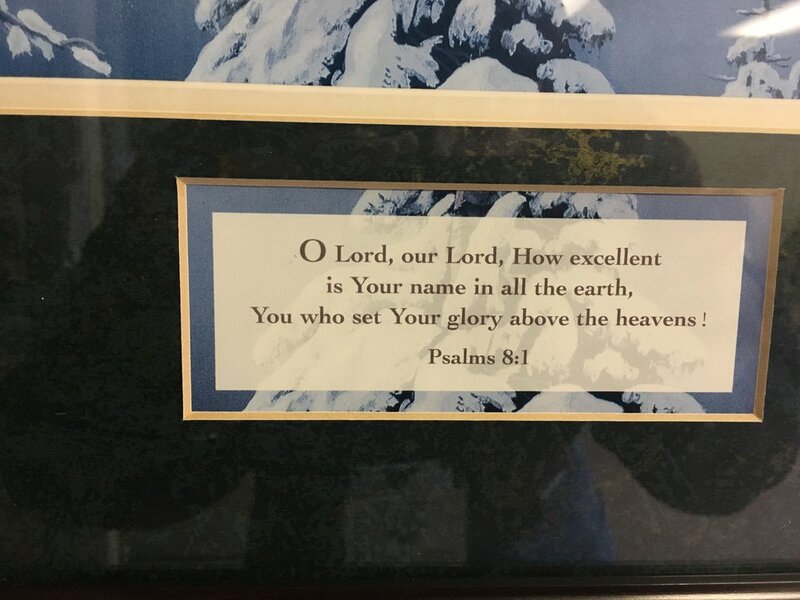 The room was filled with religious signage. As we walked around and gathered pictures, one of the ministers walked up and introduced himself and told us a little about the church. When we were done speaking with the minister, I continued to gather photos of the chute. 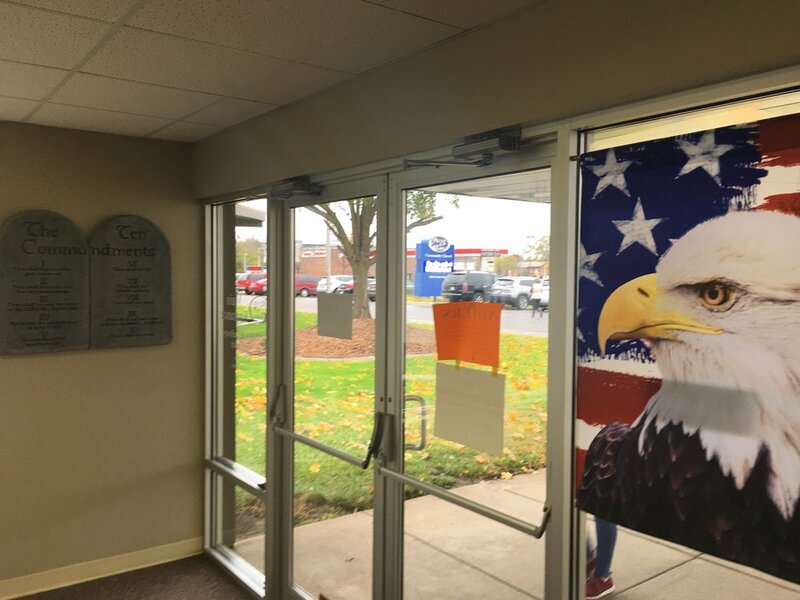 Entering the voting room, there was a giant banner high on the wall with a bible verse. For the rest of the story, I’m just going to post the NIA incident report. Long story short, we were accosted by the Sheriff and by a voter. 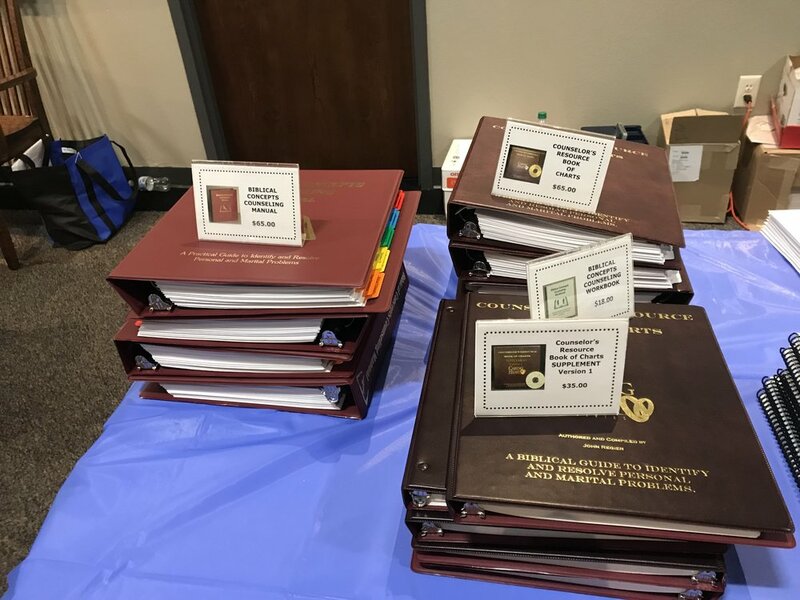 The photos and notes below contain everything from minor to major violations and the notes cover everything we saw as we walked the chute where voters were waiting to cast their ballot. 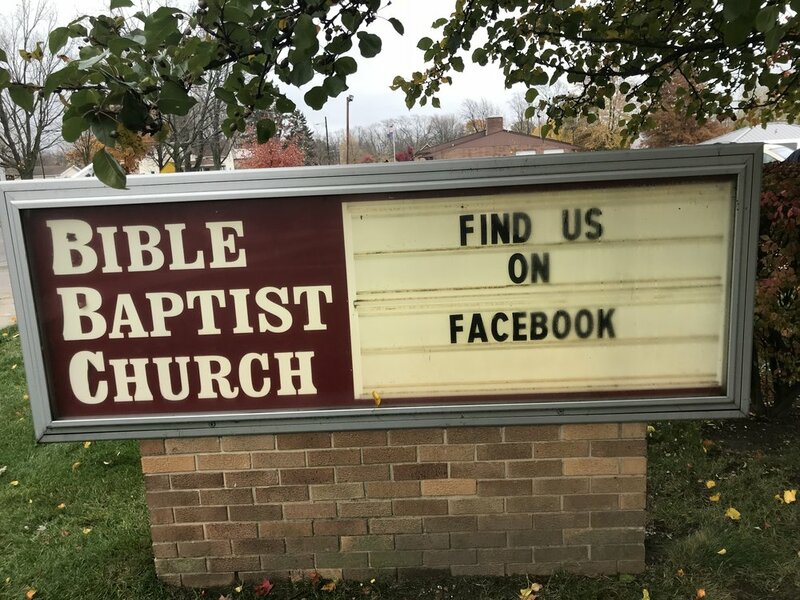 Promoting church social media on sign. Bible scripture on the wall in chute. Bible devotionals sitting out in chute. Scripture verse art on the wall next to Voter’s Rights Poster in chute. Large cross quilt high on wall in voting room. Religious signage with voting instructions inside chute. Church event schedule inside chute. Church services information at voting check-in. Large nativity art in voting room. Giant cross as you approach voting location. Hymns playing [Amazing Grace] at entrance of voting location inside chute. 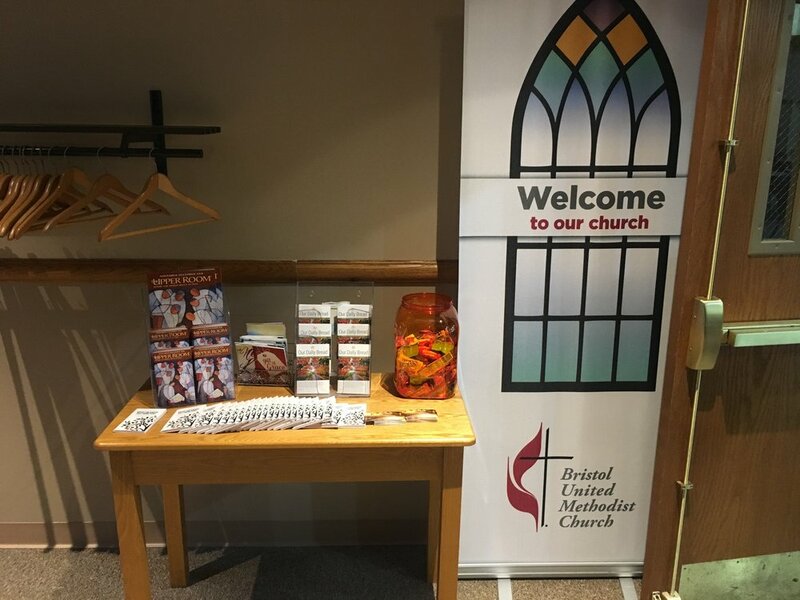 Church program info at check-in. Bibles, bracelets, devotionals, and information out in chute for voters to take. 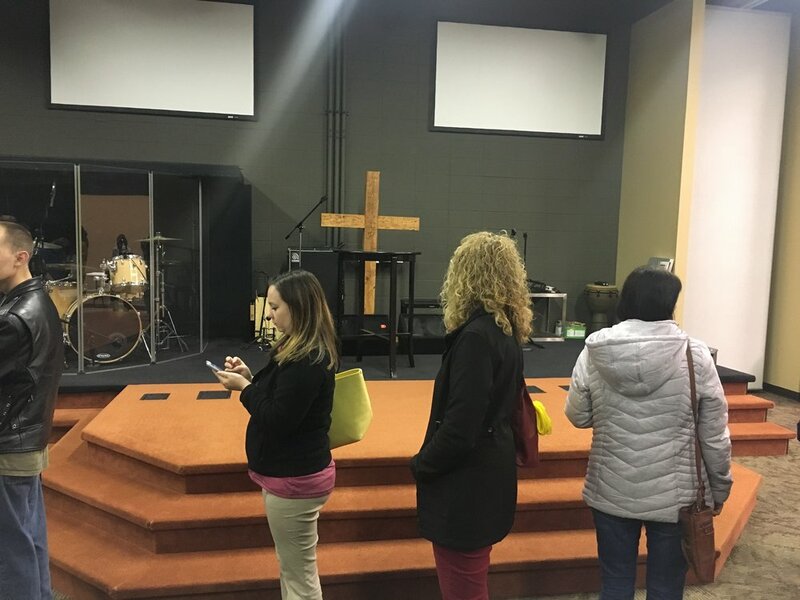 Voters had to wait in sanctuary. 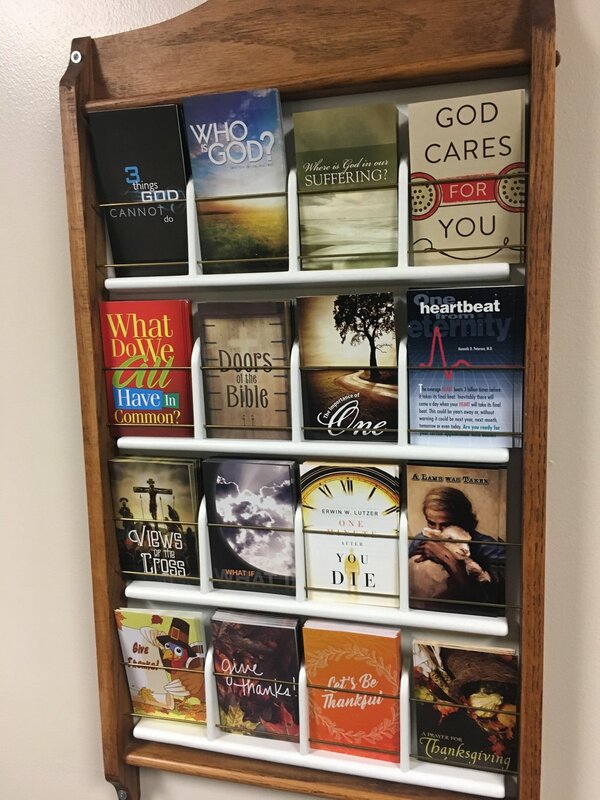 Scriptures on wall throughout chute. 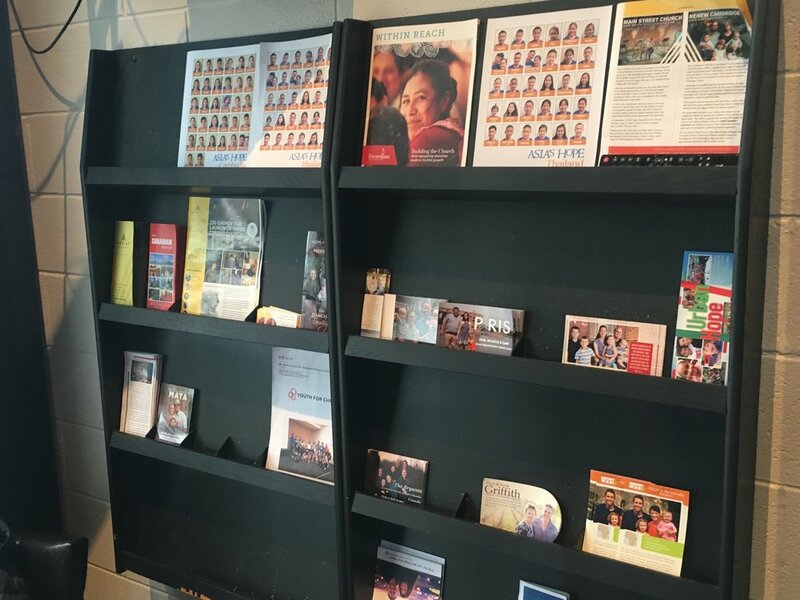 Lots of bulletin boards, signage, and church information. 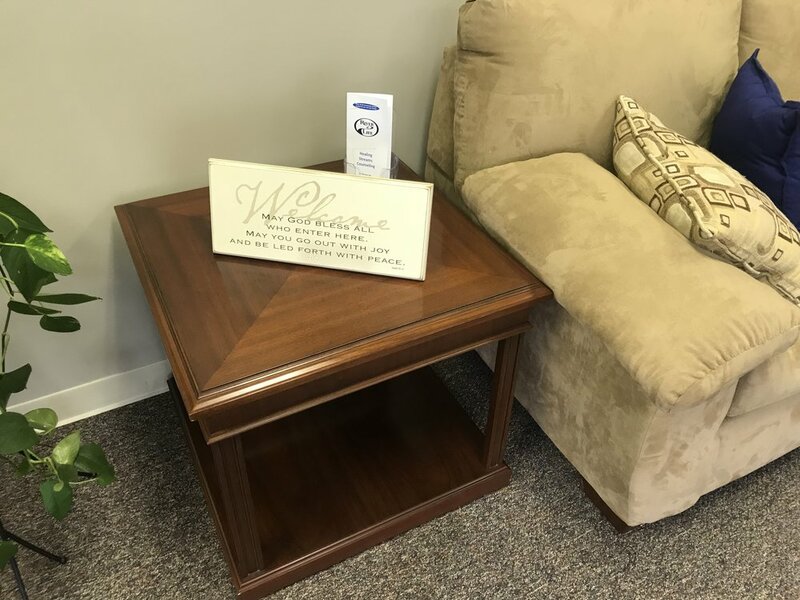 Church program info on tables in chute. 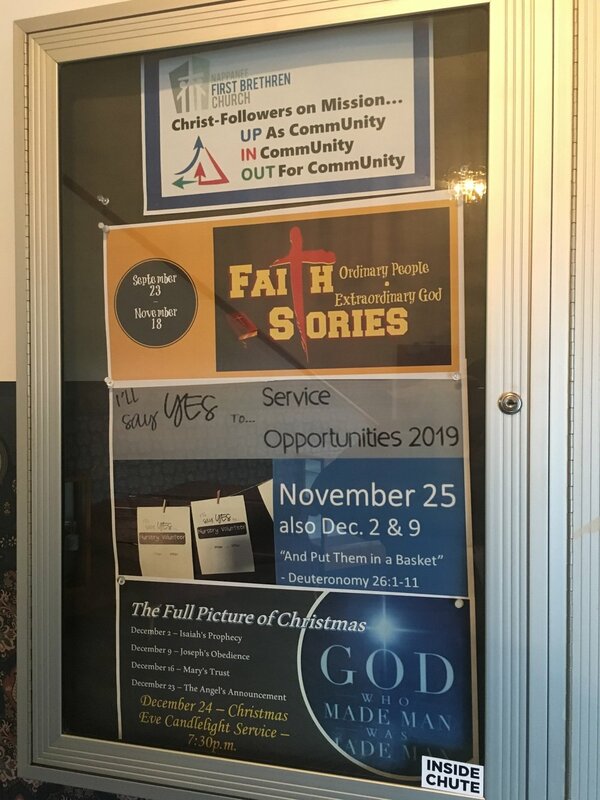 Church info and free flyers for voters in chute. 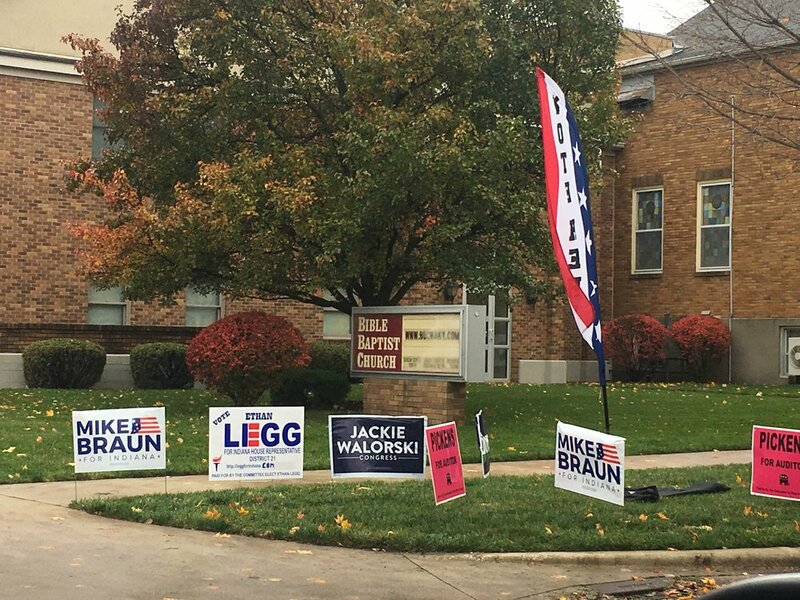 Large religious signage in voting room. 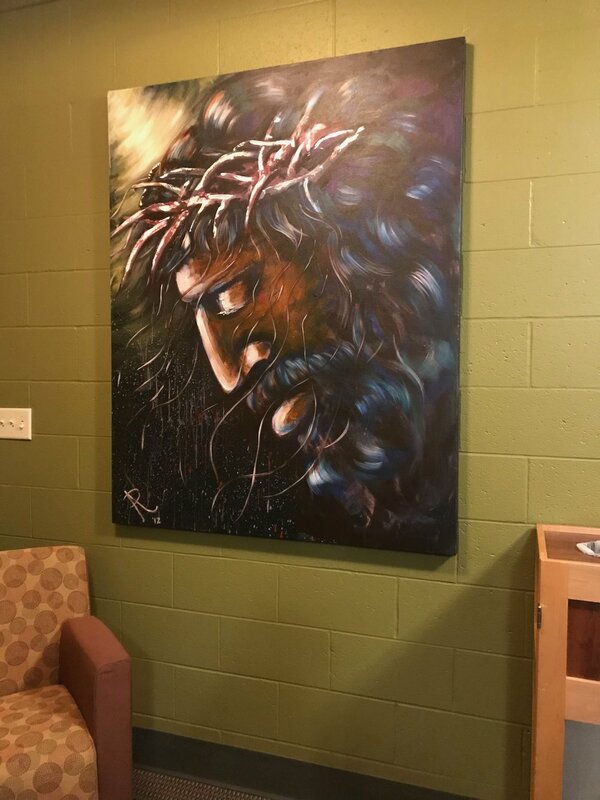 Large Bloody Jesus painting in chute. Pastor introduced himself and welcomed us to the church. 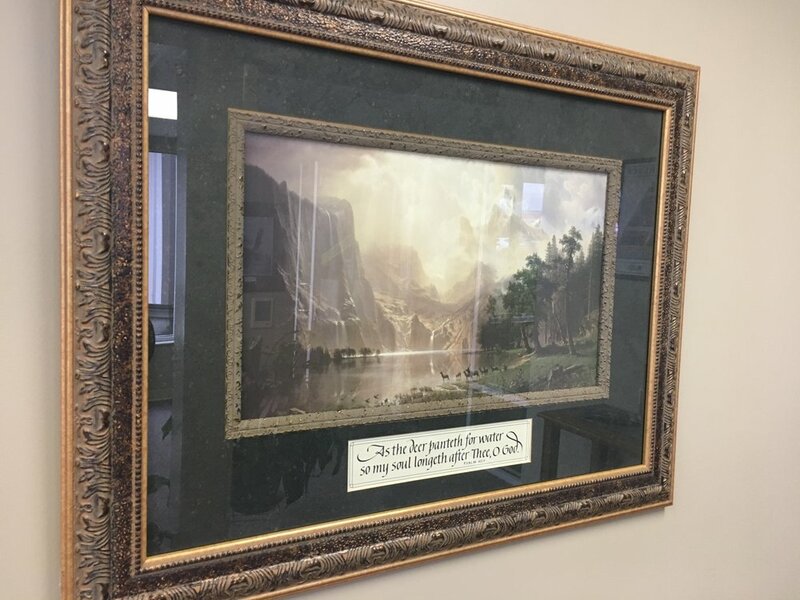 Bible verses on posters in chute. Coffee bar and bookstore open. Television displaying messages and church info. On the other side of the room from where voters were voting, the coffee bar was open and voters walked through the conference to get coffee. Staff at coffee bar gave information on the conference and bookstore. Bookstore was open in voting room. Books, tapes, goods for sale at convention tables in voting room. Religious conference attendees were seated at tables next to voting booths with screens clearly visible. Bathroom open to voters had religious messages. Religious signage and artwork all along voting line. 10 commandments stone tablet display visible to voters. Voters waiting in sanctuary to vote. Church sign about jesus and defeating the enemy. 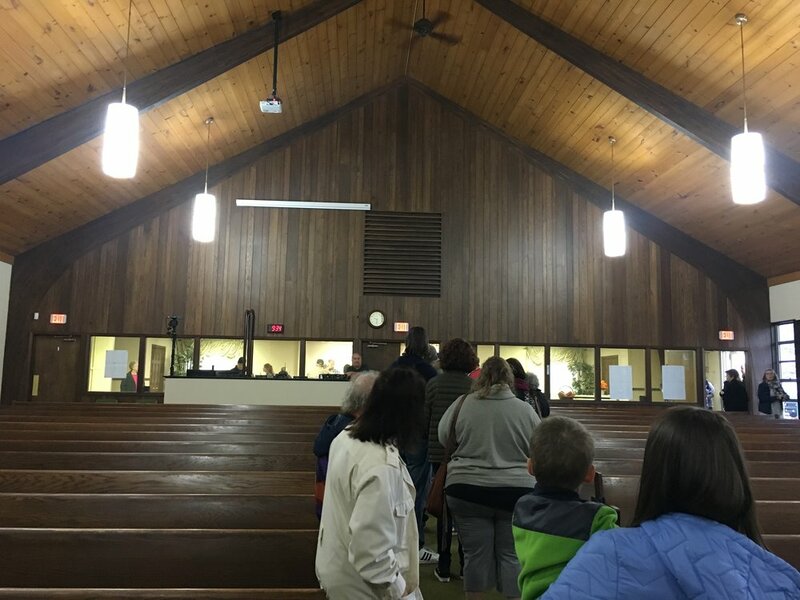 Voters lined up inside sanctuary. 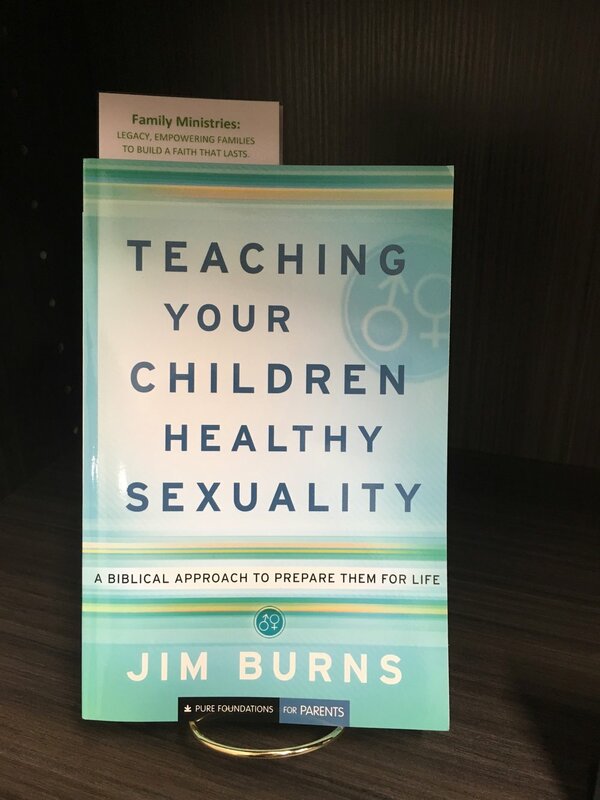 Devotional for men in bread basket next to Voter Training book in chute. Photo ID check-in station & candidate book on table with Women’s Ministries banner. 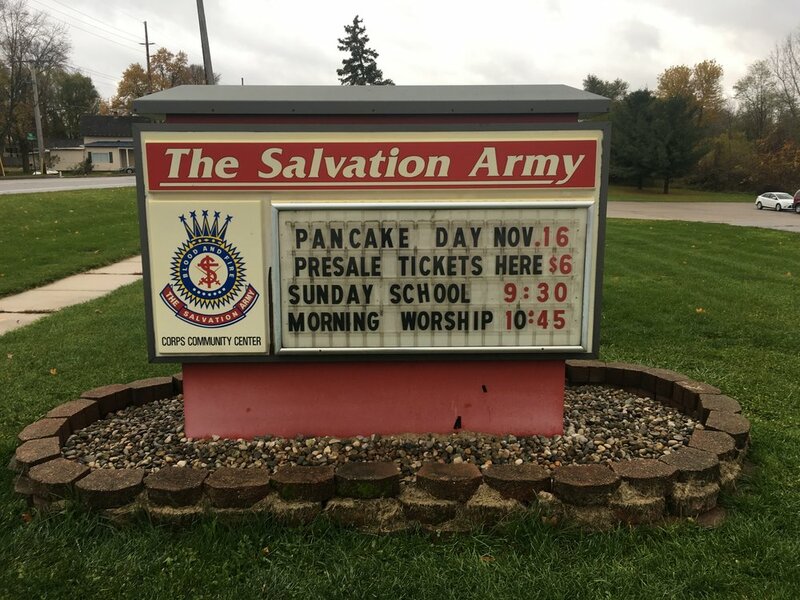 Bible verse on church sign. Church information signs next to voter instructions inside chute. 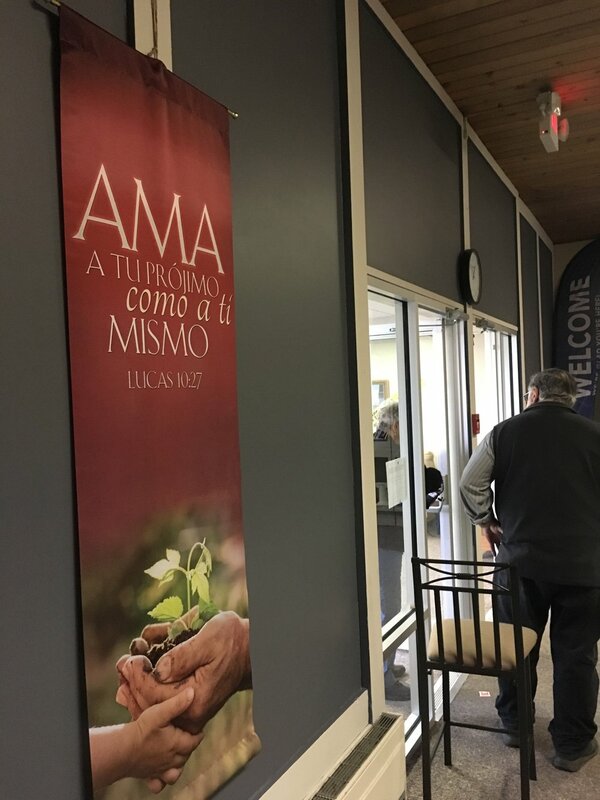 Bible verse banner in voting room. Minister greeted us to tell us about the church. Polling location Sheriff accosted us. 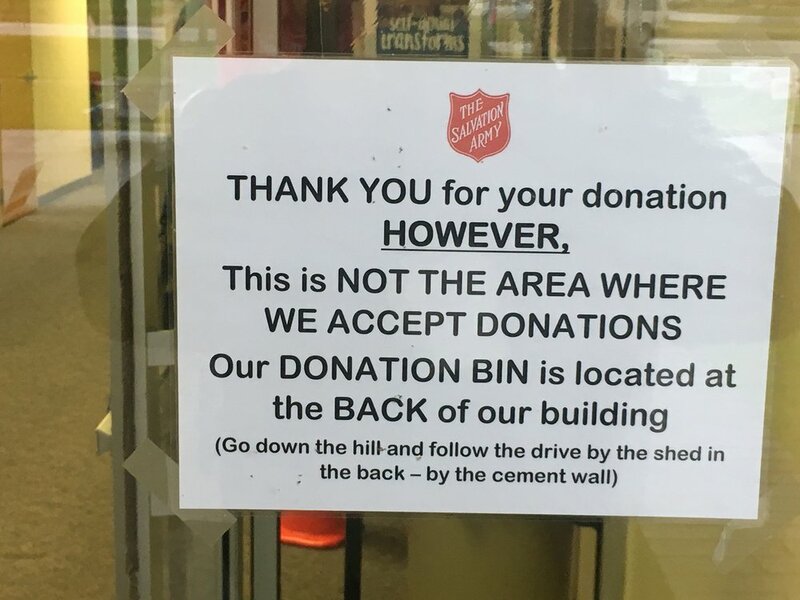 We were asked for donations as soon as we walked in the door. Religious signage throughout the chute. Crosses everywhere, including the bathroom. Church information inside voting room. Jesus coffee inside voting room. 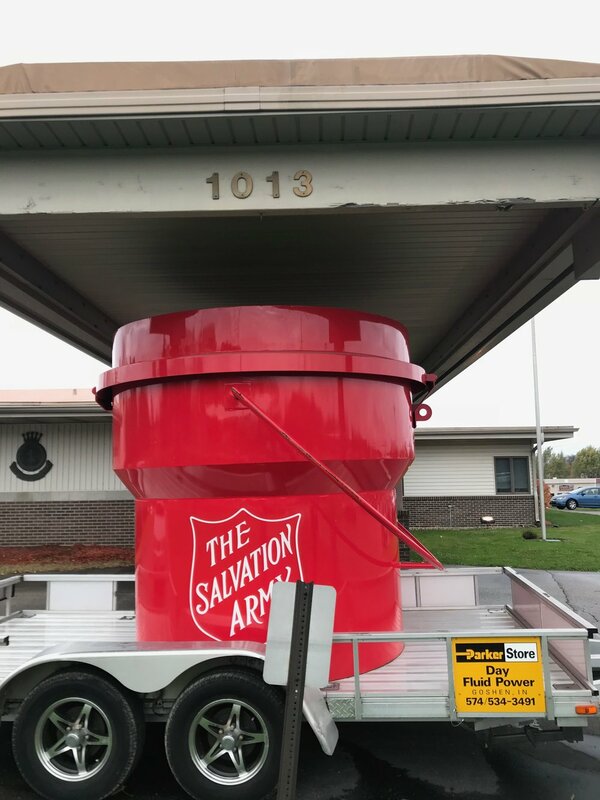 Giant red kettle outside voting location. 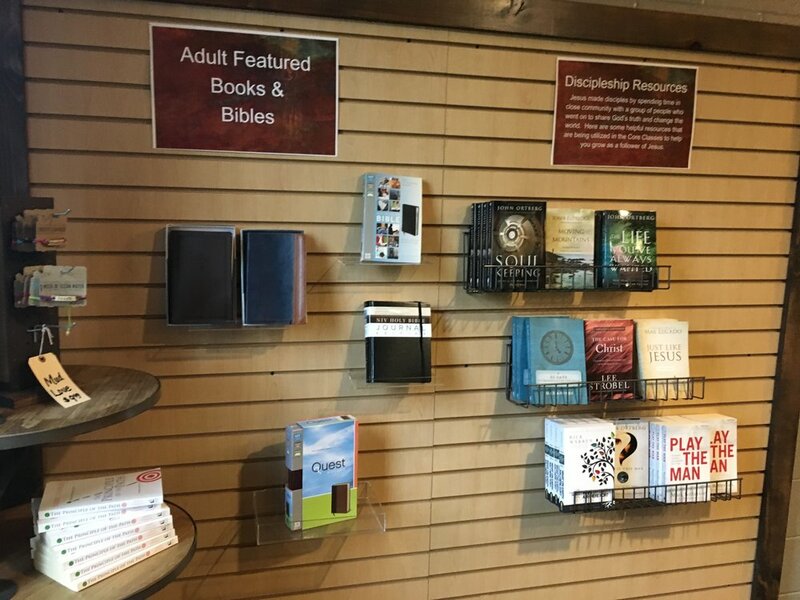 Lots of religious signs, bibles, and iconography throughout line and chute. Church activities advertised on television screen. Café open with representative telling people about the church. Sgin asking for prayers for elections.